At Herbal Nail Bar, we strive to provide quality ingredients and quality craftsmanship. We work hard to meet your nail goals. It is important that after you leave our Nail Bar, you continue to care for your nails to keep up the quality of the craftsmanship. This is an ongoing relationship for the health and beauty of your nails. After receiving your manicure, please take extra caution in the first 24 hours. Try to avoid heat during the first 24 hour period, for instance: Sunbeams, Saunas or Hot Baths. Apply cuticle oil daily to keep your nails hydrated and nourished. This will assist in stimulating your nail growth and will prevent lifting. Try to wear gloves when doing dishes, gardening or cleaning. If you come in contact with harsh chemicals such as chlorine, insect repellent or sunscreen, please wash your wands thoroughly. Always return to Herbal Nail Bar for maintenance and removal. Avoid using your nails as tools, for instance: pop open cans, screwdriver, etc. Ready to get your nails done? Book an appointment here! 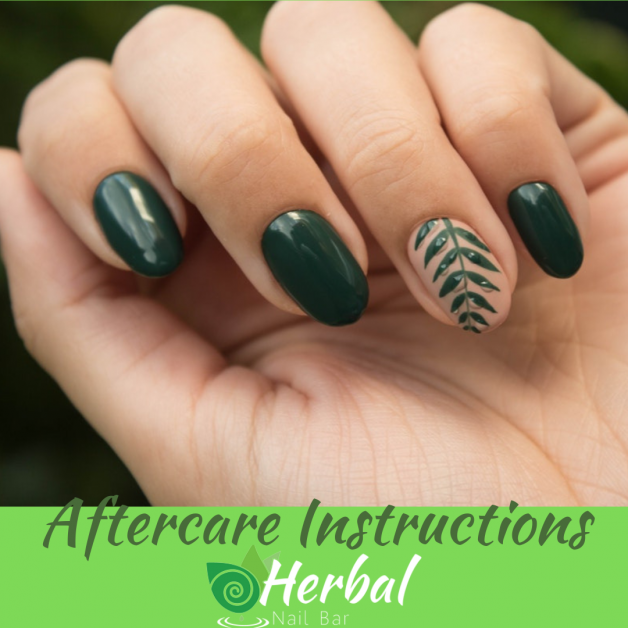 If you would like more advice, please call Herbal Nail Bar at 239-529-6527. Organic, Healthy Nail Bar in Naples, FL.